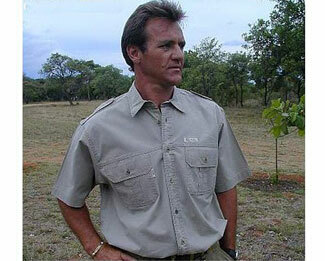 New PRO SAFARI Safari Shirt Short Sleeve. African, made of cotton that is grown, hand-picked and dyed in Africa. Withstands the daily rigors of being handwashed and sun-dryed! Dyed Earthtones so you blend in with Nature!